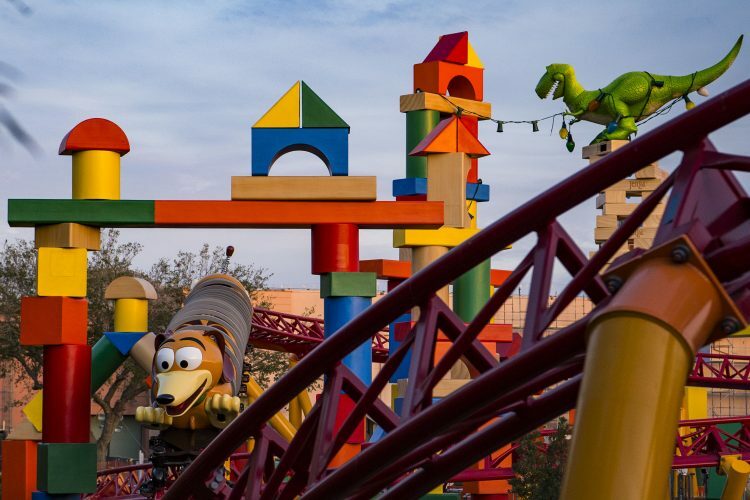 As fans continue the countdown to the opening of Toy Story Land on June 30, more “toy-riffic” news is emerging as anticipation builds for the colorful new land coming to life at Disney’s Hollywood Studios. Alien Swirling Saucers. Designed as a playset Andy won at the Pizza Planet restaurant, this all-new attraction is out-of-this-world fun. “Toy Story” green aliens have powered up their flying saucers and earthbound guests get to play along. In rocket ship toys, guests swirl and whirl among toy planets and space stations as part of the game while “The Claw” hangs overhead. This space adventure is bathed in multi-color lighting and sound effects from throughout the galaxies. 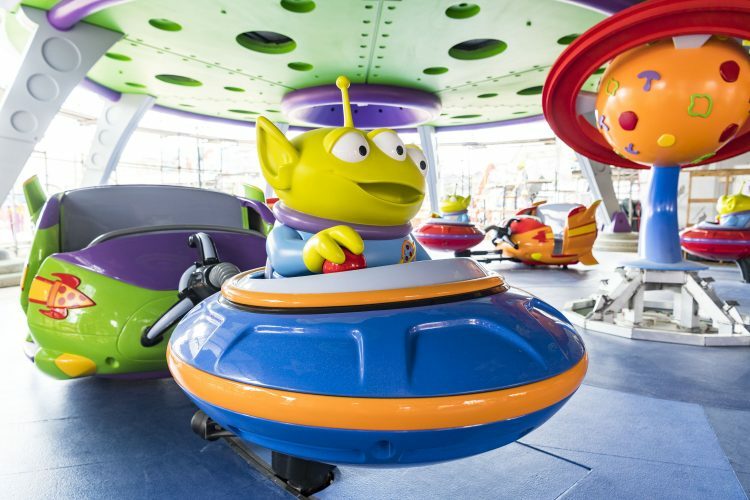 Disney has released the first-ever images of the new attraction, showing the toy spaceships being piloted by everyone’s favorite aliens. Ten-hut! Sarge and the Green Army Man Drum Corps will be marching several times a day through Toy Story Land. 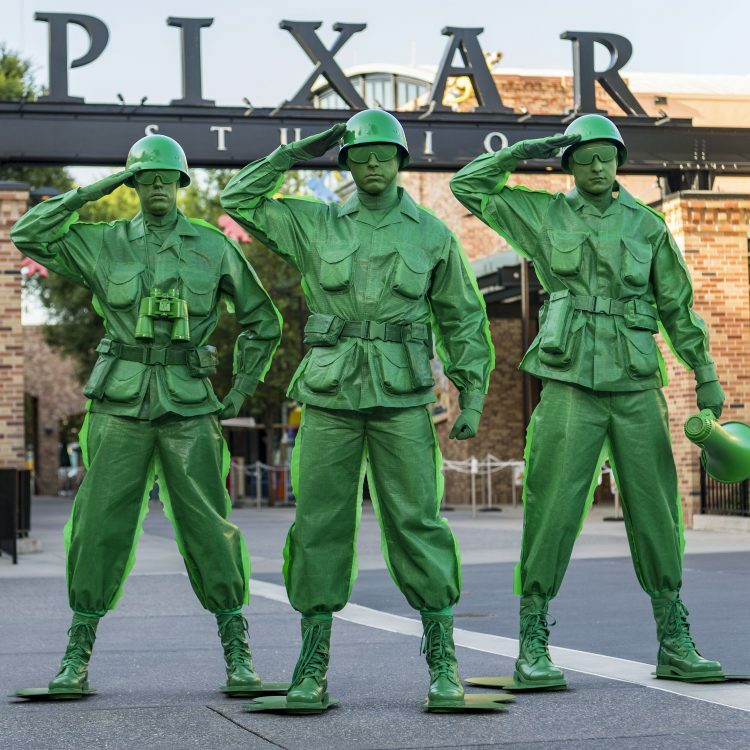 As the Drum Corps marches on, everyone’s invited to follow another contingent of Green Army Men to their fun and interactive boot camp, where they’ll “toy” with guests using giant Pixar balls, oversized crayons and a game of SARGE SAYS (their own spin on Simon Says). Will guests have what it takes to become official recruits in Andy’s backyard? After a day of play in Andy’s backyard, guests can relive their memories with fun merchandise created especially for Toy Story Land. Headbands are crowned by three-eyed space aliens or Slinky Dog. Slinky Dog also inspires a toy with light-up rings; he can even strrreetch around the waist or shoulders and double as a fashion accessory. Kids get bragging rights with commemorative “I Played There” t-shirts that let the world know they were among the first guests to Toy Story Land. 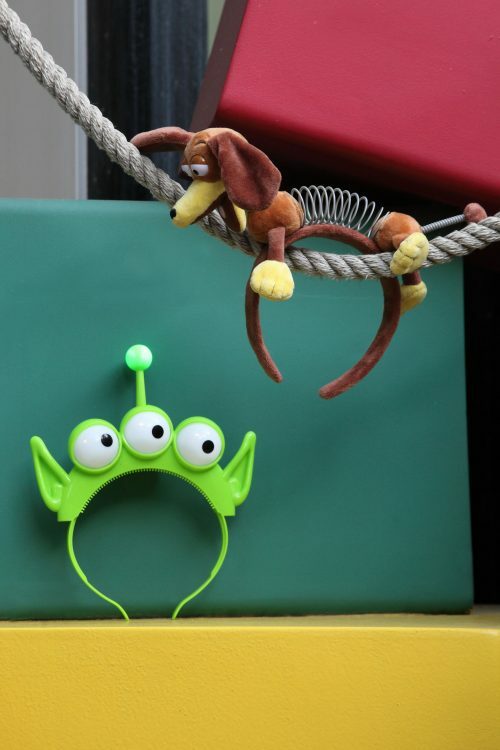 These and other playful items will be available in merchandise locations found in Toy Story Land and at select shops in Disney’s Hollywood Studios. 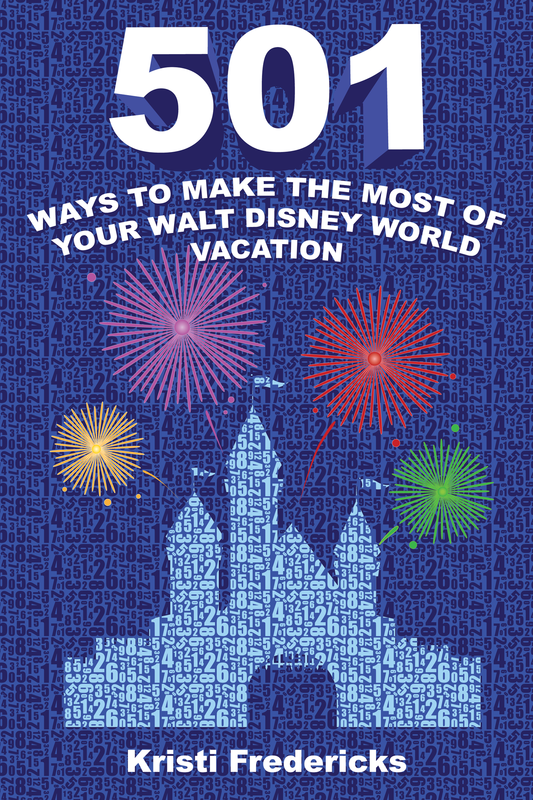 Are you excited to visit Toy Story Land this summer?